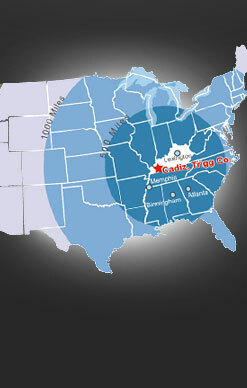 FRANKFORT, Ky. (March 5, 2013) – Site Selection magazine’s annual Governor’s Cup rankings have placed Kentucky 10th in the nation for new and expanded industry activity in 2012. In 2012, Kentucky announced 354 location or expansion projects, resulting in 14,075 projected new full-time jobs and a capital investment estimated at nearly $2.7 billion. Kentucky has finished among the top 15 states in the nation for the last five years in a row. Site Selection, an Atlanta-based publication, has rated the states annually since 1978. The ranking is based on a state’s total number of qualified projects as tracked by Conway Data Inc.’s New Plant database. add at least 20,000 square feet of new floor space. During 2012, Kentucky generated 196 projects that met the above standards for Site Selection’s Governor’s Cup consideration. Conway Data’s rankings are regarded by corporate real estate analysts as “the industry scoreboard.” The magazine’s circulation base consists of 44,000 executives involved in corporate site selection decisions. In addition to the Governor’s Cup, Site Selection recognizes top metropolitan and micropolitan areas for their economic development successes. The Top 10 Metro Areas Ranking rated Lexington seventh in the Tier 2 class (population 200,000 to 1 million). Kentucky ranked fifth in the nation for number of communities making the magazine’s Top Micropolitans list, with 10 communities making the cut.